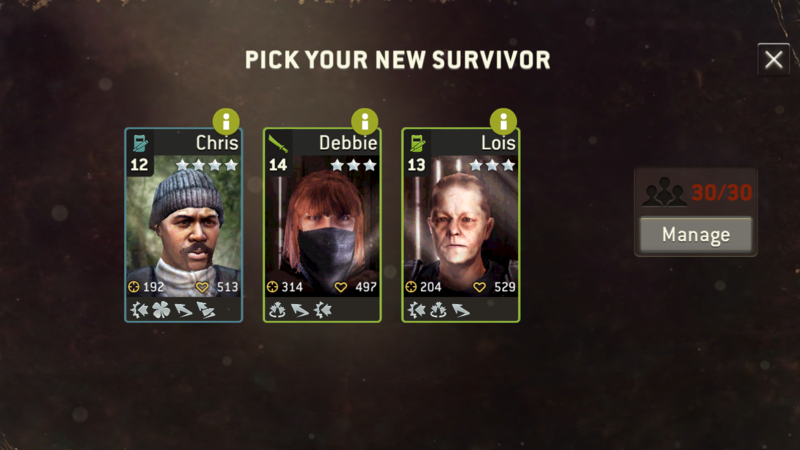 I can't seem to find the option to purchase survivor slots anymore, can someone please direct this blind bat? I thought it was always under the "Manage" button? @Steeboon , how many total slots do you have? There is a max on slots you can purchase for gold. Hi @zbot , thanks for getting back. I have already gotten an answer from support that we can only purchase up to 25 slots with gold (outposts and heros not included). Other than that, slots can only be bought via bundles. Aside to @Teeceezy & @Shteevie , I do hope this feature can be amended slightly in the future for the benefit of FTP players, thanks. But it seems like you should have more available. 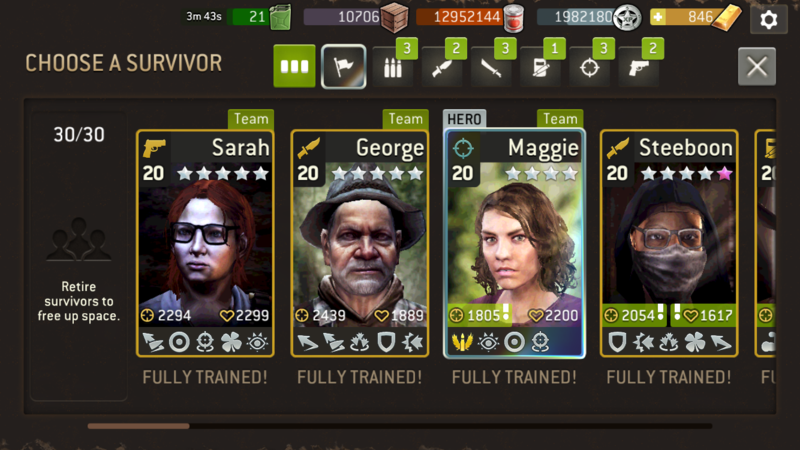 What does it show on your survivor screen? @blynknz It is telling me to retire them. There is a point where you have bought all of the slots available for gold. 20 slots are available for purchase this way. However, Outpost defenders and Hero Unlocks never use up a slot, and any slots that come from bundles can exceed the normal limit. ok, so @Steeboon has 3 slots for outposts. 4??? spots that come with the start of the game (not sure what this is). And only has maybe 3 heroes that make up the 10.